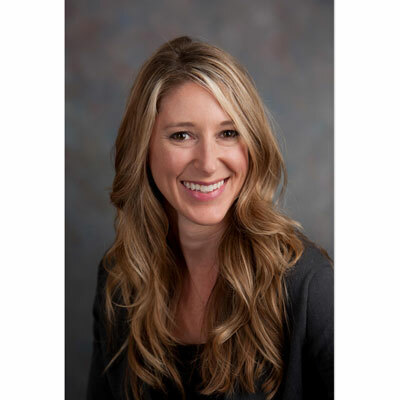 Ms. Haan is responsible for Global Partner/Customer Marketing Engagement & Insights at VMware, where she and her team deliver high impact engagement events to a global ecosystem of partners, customers and internal clients to accelerate business success. Sandra joined VMware in 2012 and prior to that spent 13 years at Oracle in a variety of regional and global channel roles including marketing, business development and communications. Sandra is a graduate of UC Santa Barbara with a BA in History. My team and I have expanded the opportunities for partners to engage with us through our events and communication channels to further grow our partnerships. We have done this through Partner Leadership Summit (400 top global partner executives), Partner Exchange (4000 global partners) and Partner Marketing Forums (400 global partner marketers). These physical events coupled with the launch of ongoing opportunities for feedback in the way of social communities, surveys and roundtable discussions has led to a more engaged and informed partner based. Over the next year I am working to improve the partner experience at annual VMware partner events with a focus on engagement and improved feedback cycle with our partners. In addition to the focus on partner engagement, we will be providing new technical training opportunities (EMPOWER global conference) to support the growing customer needs across design to deploy. In addition, my team and I will be working to capture meaningful insights from these events to better help our partners and customers understand the dynamic landscape we are working in and help them to make more informed decisions. I was named to CRN's Women of the Channel list in 2017, and I was also included on the CRN Women of the Channel Power 100 list in 2017. I can't name just one woman, but rather I admire the collection of women behind the #metoo and Times Up movements. The power and voice brought forward to advocate for women across these movements is unprecedented. The visibility brought forward has led to a broader conversation and is bringing strength to women everywhere. The power of community is something I admire and all women lending a voice to this are to be admired. Don't underestimate yourself; you are capable of anything you put your mind to. Advocate for yourself; don't wait for someone to notice what you've done, instead, share your accomplishments with others. Ask questions; curiosity leads to discovery. There isn't one path; explore areas of interest and the cumulative knowledge will help you in whatever you do. Don't be afraid to break the mold; there isn't one right way to do things. Don't let one person's opinion of you shape your opinion of you. I would like to master the skill of storytelling. We have all taken presentation courses and can make continual improvement on the basics or advanced skills, but the ability to capture the audience through storytelling is powerful. Most people think of storytelling as a skill needed only for keynote presentations; I think learning to integrate storytelling into our regular updates is a difficult skill and one I would like to learn. Lucky Boy by Shanthi Sekaran. It's the story of one boy and the two mothers who love him. One is his birth mother who has moved to the US from Mexico looking for a better life. The other is his foster mother fighting fiercely to keep him. This book, though fictional, shared such a great perspective on the power of love and brought unique insight into the struggles immigrant families face as they search for a better life. A very moving story from two very different points of view.